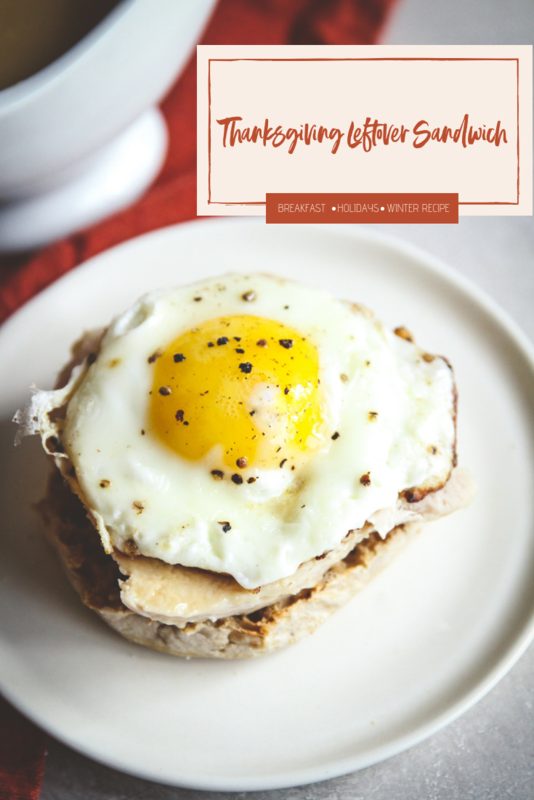 If you’re looking for a delicious Thanksgiving leftovers recipe, you’re in luck because these Thanksgiving leftover breakfast sandwiches are so yummy and the perfect way to use leftover turkey! 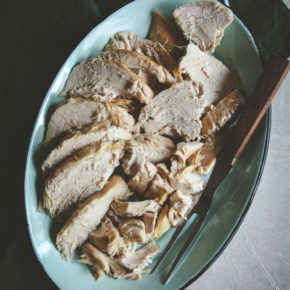 When it comes to Thanksgiving leftovers, turkey is the star, just like it is on the big day. When you’re just waking up the morning after the holiday, you’re still in a food coma of sorts and don’t want a super complicated recipe, am I right? I just want to go to the fridge, grab some leftovers, and put them together into something. I’m so weird with leftovers, I don’t want a plate of warmed up food from the night before, I like making them into something different. 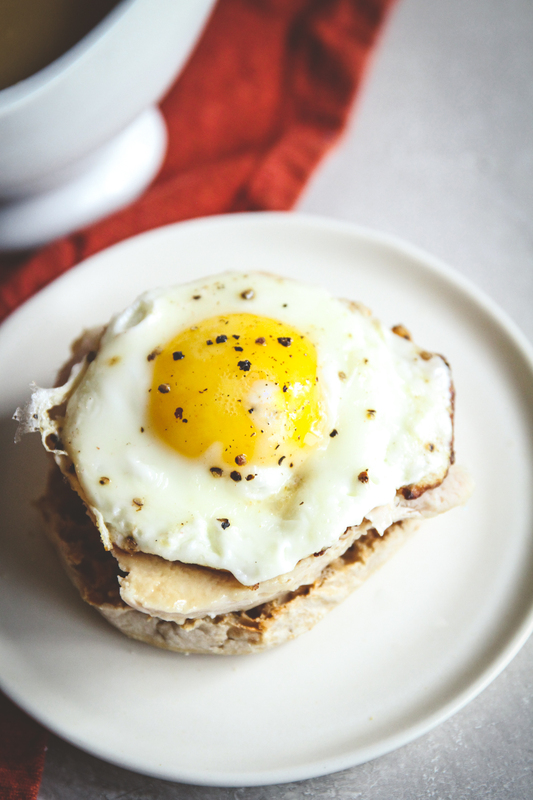 These easy Thanksgiving leftovers breakfast sandwiches are so simple to make. 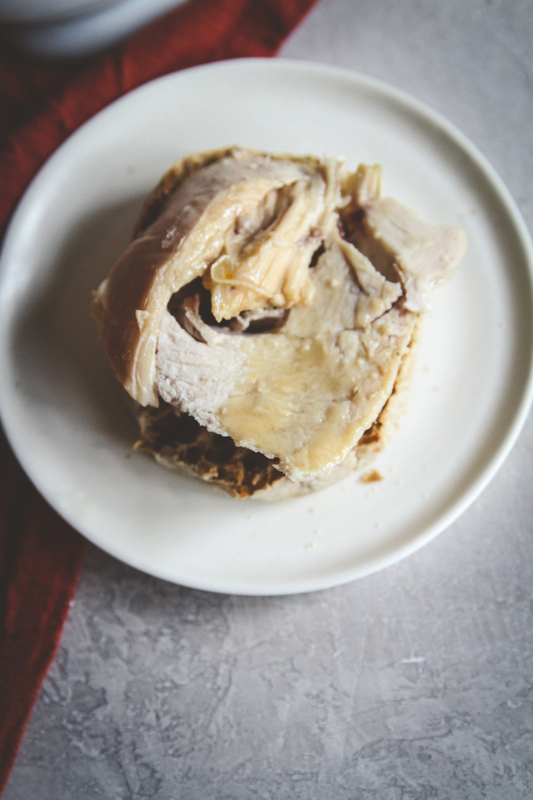 So how do you make Thanksgiving leftover turkey breakfast sandwiches? 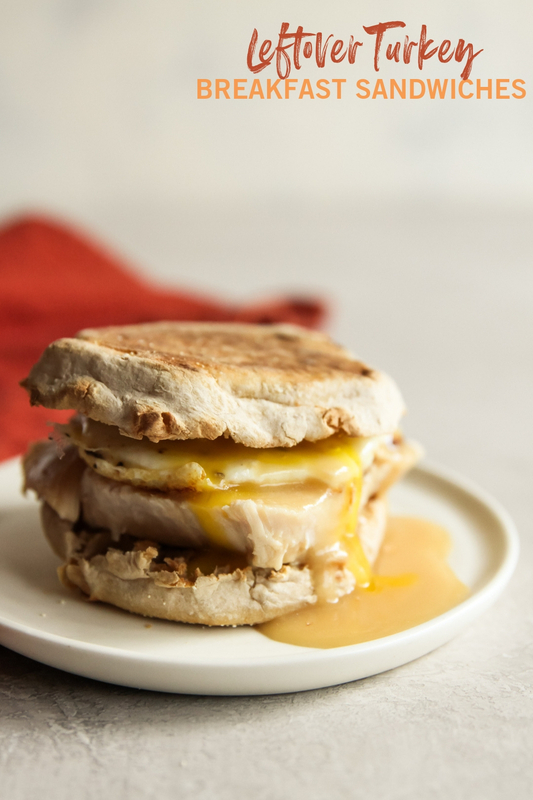 All you need to do is warm up some leftover turkey (I love using this easy instant pot turkey breast recipe) and gravy, toast an english muffin and fry up an egg. Put the sandwich together for an all around delicious breakfast! The best part? 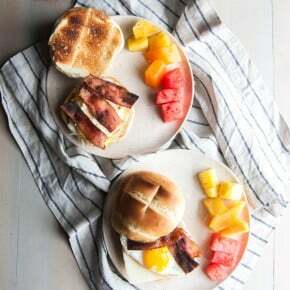 These breakfast sandwiches only have 5 ingredients, so this 5-ingredient recipe is perfect for a five-ingredient-Friday recipe! 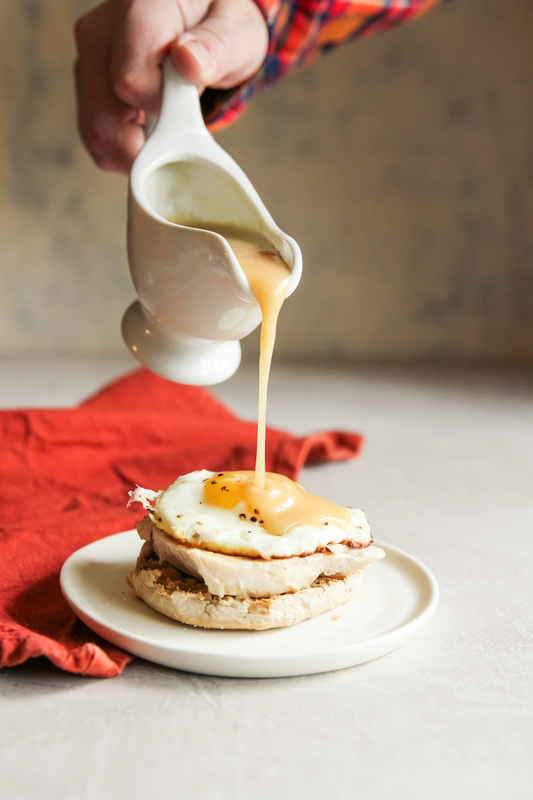 The five ingredients in breakfast sandwich recipe are: leftover turkey, gravy, butter, English muffins, and eggs. Something else that is really amazing about these breakfast sandwiches is that they can be made and then frozen and re-heated later. 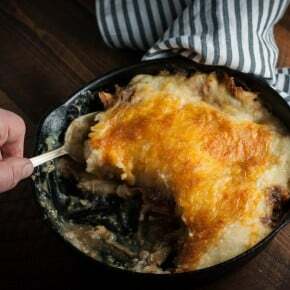 So, say for example that you have a bunch of leftover turkey you really don’t feel like having after Thanksgiving. 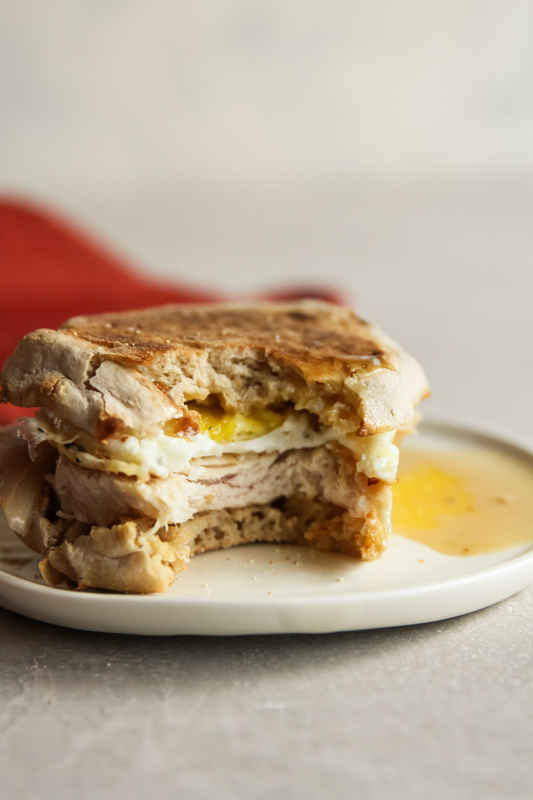 You could make these turkey and gravy breakfast sandwiches, freeze them, and then in a few weeks when you’re looking for a delicious breakfast, they’re all ready to go. I hope you had a lovely holiday, and that you enjoy these Thanksgiving leftover turkey breakfast sandwiches. Warm the turkey and gravy in the microwave (I usually recommend 1 minute and 30 seconds). While the egg is cooking, toast up the English muffin. To assemble the sandwich place turkey on the bottom piece of the English muffin, top turkey with fried egg, pour gravy over the top and place top piece of English muffin on top and enjoy!